How heavy is too heavy for automated manual transmissions? According to Eaton, there’s no such thing. “You call him Grumpy?” I asked. Oh, good. Naccarato is the fleet manager of Ajax, Ont.-based C&G Haulage, which runs about 15 company trucks and enlists the help of some 35 brokers. 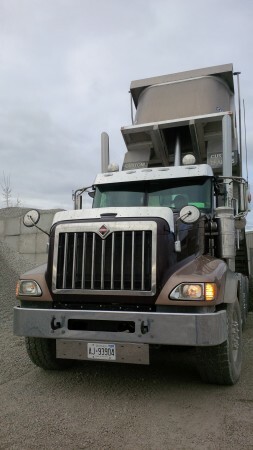 He had agreed to let me ride along in – and potentially drive – one of the company’s newest additions, an International PayStar with 500-hp Cummins engine and 18-speed Eaton UltraShift Plus MXP (Multipurpose Extreme Performance) transmission. We’d be grossing close to the provincial limit of 63,500 kgs (139,700 lbs) pulling a load of gravel from a Dufferin Concrete gravel pit near Mosport, an hour east of Toronto, to a cement plant on Woodbine Ave. north of the city. 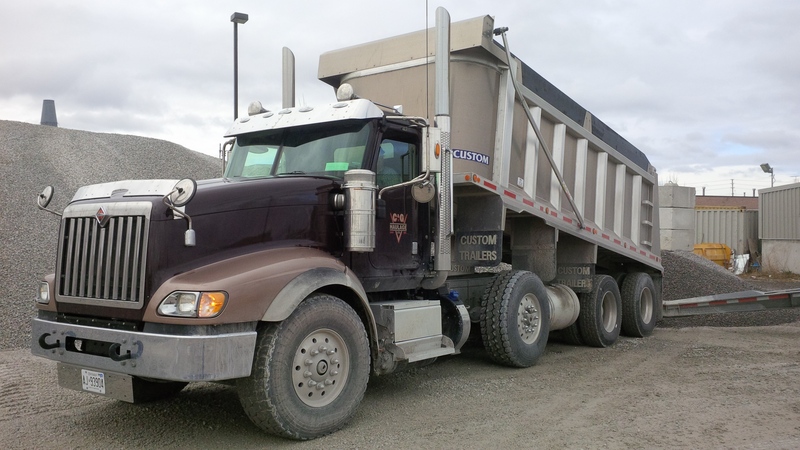 It was a tri-axle PayStar dump truck with a pony pup in tow, but the purpose of the drive was to test Eaton’s claim that automation is a concept no longer limited to on-highway applications. We unload at a Dufferin Concrete cement plant north of Toronto. The UltraShift Plus MXP, initially launched in 2013, has no published gross combination weight limit. Some Canadian heavy-haulers have pushed it beyond 200,000 lbs, according to Stephen McCallum, territory sales manager for the Greater Toronto Area, but Eaton would like to have a chat with you before you deploy it into any outrageously severe applications. At that point in our discussion the PayStar’s big rad appeared in our rearview mirror, signaling my ride had arrived. I soon learned that Grumpy wasn’t grumpy at all. The moniker was simply a function of the good-natured banter that exists within a small, family-run trucking company. The everyday driver of this rig was the type any fleet would be proud to call one of their own. Wayne Gray started driving farm trucks at the age of 18 and since then has piled on 45 years of trucking experience. 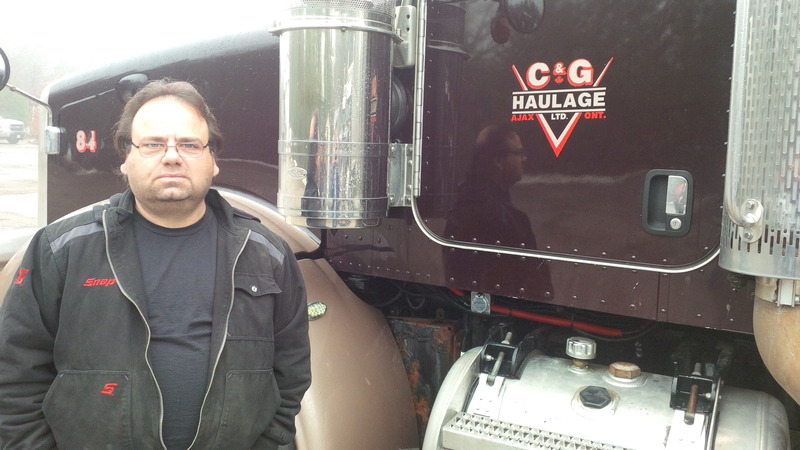 He has been with C&G Haulage since 1998 and likes it there. This day, he’s already on his second run, having started, as usual, at 4 a.m. 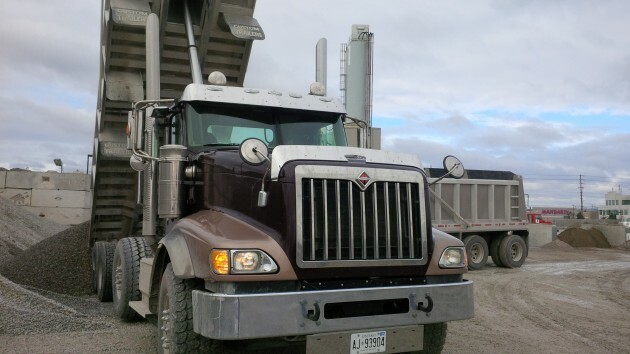 He picks up a load of gravel – usually about 44,000 kgs (96,800 lbs) of payload – at the Dufferin quarry near Mosport and delivers to the cement plant on Woodbine Ave., and then repeats, making four trips a day, easily within his allowable daily driving hours. He’s paid a percentage of revenue and says it’s a fair arrangement that works out well for him. This batch of five PayStars marked a switch for C&G from Peterbilts. Naccarato said he made the change because the nearby Tallman International dealership supports its trucks well. But he also realized swapping out high-end Petes for Internationals could spark a small uprising among the drivers, so he spec’ed the PayStars out luxuriously, with leather, heated seats and other upgrades. The uprising never materialized, with most drivers taking to the PayStars almost immediately. Gray has only one complaint about his new truck – the more rearward positioning of the door-mounted mirrors. “Cavemen mounted mirrors like that,” he said with a gesture, the only grumpy comment he’d make during our time together. The PayStar is enjoying a bit of resurgence. It all but went away for a few years, when Navistar severed ties with Cummins and whacked it’s own 15-litre engine that was in development. This is a truck that really requires a 15-litre engine. With Cummins back in the fold, International is once again ramping up production of this proven workhorse. As for the transmission itself, Gray went through the typical acclimatization period that occurs when a veteran driver loses his stick. After a few weeks of reaching for the shifter that’s not there, and trying to depress a clutch pedal that’s also not there, he got used to it, and in time, even came to trust it. I asked Gray if he’d choose a manual or automated manual if he were to buy his own truck for this type of work, all other things (ie. cost) being equal? “I’d go with this,” he responded. This PayStar was put into service in early January and had 38,086 kms on the odometer. It hasn’t been into the shop for any work since it was deployed and Gray said he likes the quiet ride and how well it holds the road. For the first leg of the journey we were grossing 63,270 kgs (139,194 lbs), with the dump body and pup trailer filled with 3/4” (19 mm) stone. 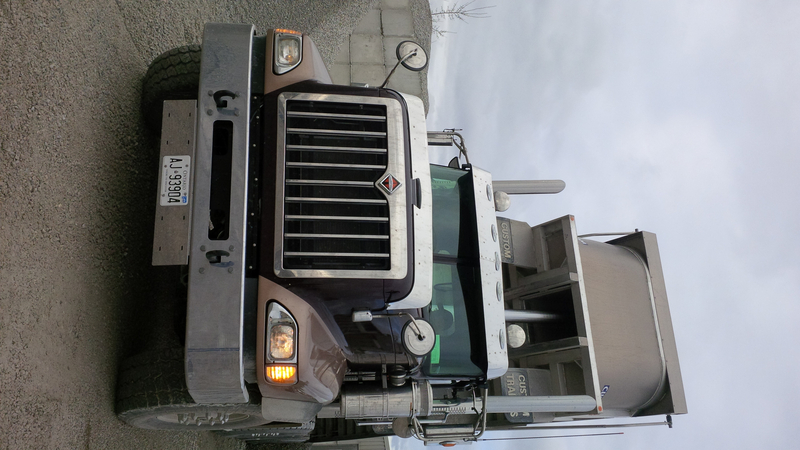 Hauling in and out of gravel pits, getting stuck is always a concern this time of year – especially in an automated manual. This has happened once to Gray since he began driving his new truck, but he escaped from the mud fairly easily. Frank Naccarato, fleet manager, C&G Haulage. McCallum explained the UltraShift Plus MXP allows the operator to choose a higher starting gear when stuck in material or looking for better acceleration. The UltraShift Plus comes loaded with its complete menu of capabilities as standard, rather than as upgrades. That means this transmission also featured Hill Start Aid and a grade sensor, essential features in a heavy-haul environment. Hill Start Aid will hold the truck on a grade for up to three seconds while the driver moves his or her foot from the brake to the accelerator; it’s not intended to be a holding device, something drivers should be mindful of when driving this product for the first time. There’s still a lingering perception in the industry that automated manual transmissions are meant for the mainstream line-haul crowd and not for heavy-haul vocational applications. However, you could make the case that heavy-haul operators have more to gain from automation. Applications with frequent starts and stops are harder on a transmission’s sliding collars and synchronizers, which in a manual transmission are prone to wearing out over time. The UltraShift Plus shifts so precisely, always in complete synchronicity, that it protects those items from premature wear. The base box of the UltraShift Plus is nearly identical to its manual sibling, so servicing the transmission is easy. The MXP requires the same 50-weight synthetic lubricant as an 18-speed manual as well as the same maintenance requirements, basically just periodic greasing of the clutch and clutch actuator. While an AMT isn’t likely to attain better fuel economy than a manual transmission in the hands of an experienced driver, it can equalize the fleet by improving the performance of less-experienced drivers. Fuel economy isn’t always top of mind for heavy-haul fleets, but at C&G Haulage, it is. Naccarato told me he monitors fuel mileage daily. The five PayStars with ISX15 and UltraShift Plus MXP are attaining nearly identical fuel mileage, Naccarato said, supporting McCallum’s theory that automation can bring fuel economy parity to a fleet. Initially, the AMTs were getting worse mileage than the manuals, but as drivers got used to them and the engine and transmission were reprogrammed for C&G’s specific duty cycles, they’re now pretty much on par – and the AMTs are hauling heavier payloads. When it comes to automation, C&G is a pioneer. 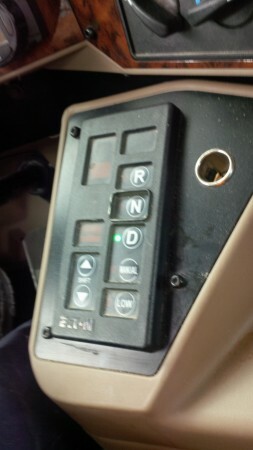 It used to run Autoshift’s – the first-generation, three-pedal AMTs. When Eaton was developing its first UltraShift transmissions for heavy-haul applications, it took those trucks to its Marshall, Mich. engineering centre, tore out the Autoshifts and replaced them with some of the first-ever severe-service UltraShifts. C&G put more than a million kilometres on those trucks; one was later sold to a broker and the other remains in service today. For Nacarrato, it’s all about driver comfort. Even so, it did take some time for some of the drivers to warm up to the automated transmissions, he admitted. A true professional, driver Wayne Gray cleans off debris before leaving the concrete plant. 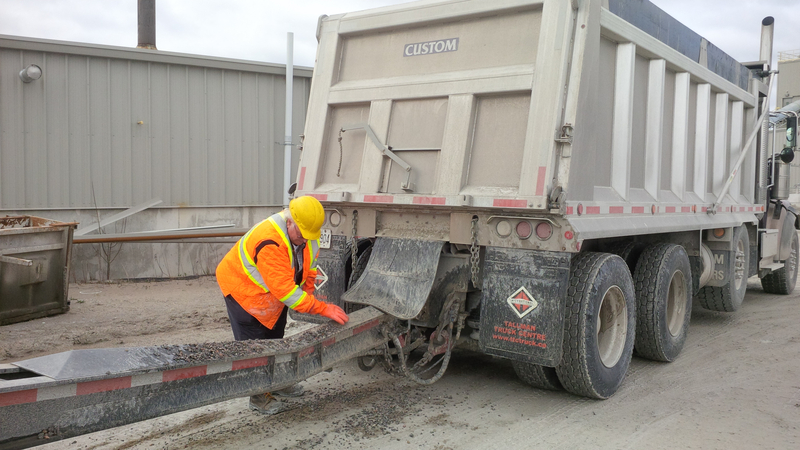 After dropping our load at the Dufferin cement plant, it was back to the sprawling Mosport gravel pit for another load. Sixty-three thousand kilos and change this time and I managed to talk my way into the driver’s seat for a spell, even though Naccarato’s voice climbed several octaves when I first broached the subject of driving. I wanted to get a feel for the UltraShift Plus MXP with a full payload on the 115’s rolling hills between Orono and the 401. The ISX15 purred, the truck held the road well, the transmission maintained top gear – there was nothing about this job that made any piece of the equation feel out of place. 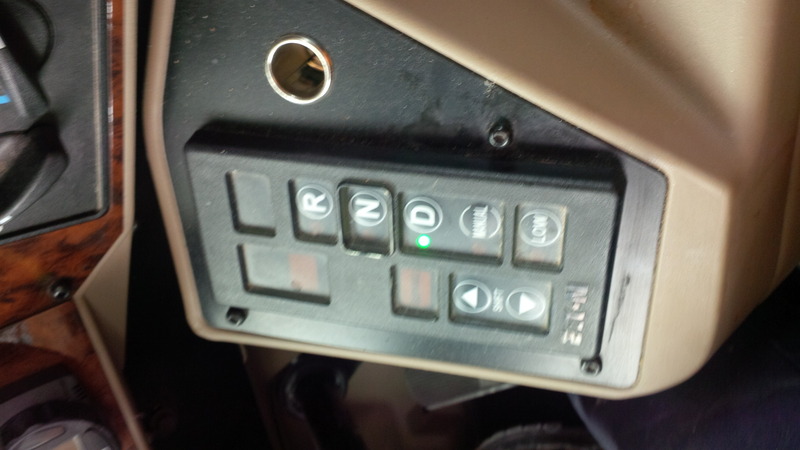 Eaton has programmed this truck with its heavy-haul shift point configuration, designed for applications from a 80,000-140,000 lb GCWR, so it chose the right shift-point for the load, without fail. This is enabled by the grade sensor, which helps the transmission select the perfect shift point on flat land as well as when climbing or descending a hill, keeping the engine within its peak torque range. Driving along Hwy. 401, smoothly dropping two gears while climbing a long grade, I was reminded of the slogan for the Scrubbing Bubbles bathroom cleaner: ‘We work hard so you don’t have to.’ Seems like a pretty fitting description of the UltraShift Plus MXP as well. If you still think AMTs should be confined to on-highway linehaul applications, your thinking is outdated. Today’s automated manual transmissions have been designed specifically for this type of work and the benefits are getting more difficult to deny as the technology evolves and the highly-skilled, experienced drivers like Gray become more difficult to find. Engine: Cummins ISX15 500 hp 1,850 lb.-ft.
Before I ever buy an automated manual I need them to verify one complaint I had with the early Eaton’s…….that they will only shift in manual mode if the ABS light comes on. Not very good for a construction truck that always has ABS faults from running in deep mud and water all day like many do. Eaton latest AMT will shift even with ABS faults and always has. Only the Hill Assist will be disable. I have completed my first year owning an AMT, I was skeptical having started driving a 5×4 2stick 30 years ago. I do OTR 80k gross o the USA, I bought this Cascadia only because it had all the specs I wanted and it was less money than the identical truck with 13 speed manual. I wish I would have got one sooner, once you get used to the changes and not having a clutch pedal in the first month or so you wonder why you waited. I did drive some of the 1st AMT’s that came out and hated them but these have come so far I do not think I would buy another truck without one. It reduse stress and in general makes my job easier and why not there are enough other things to worry about going down the road. The transmission has a redundant speed sensor that acts as a failsafe, in the event of an ABS issue the UltraShift PLUS will still shift automatically; when the ABS system has a fault it may prevent the Hill Start Aid from functioning.